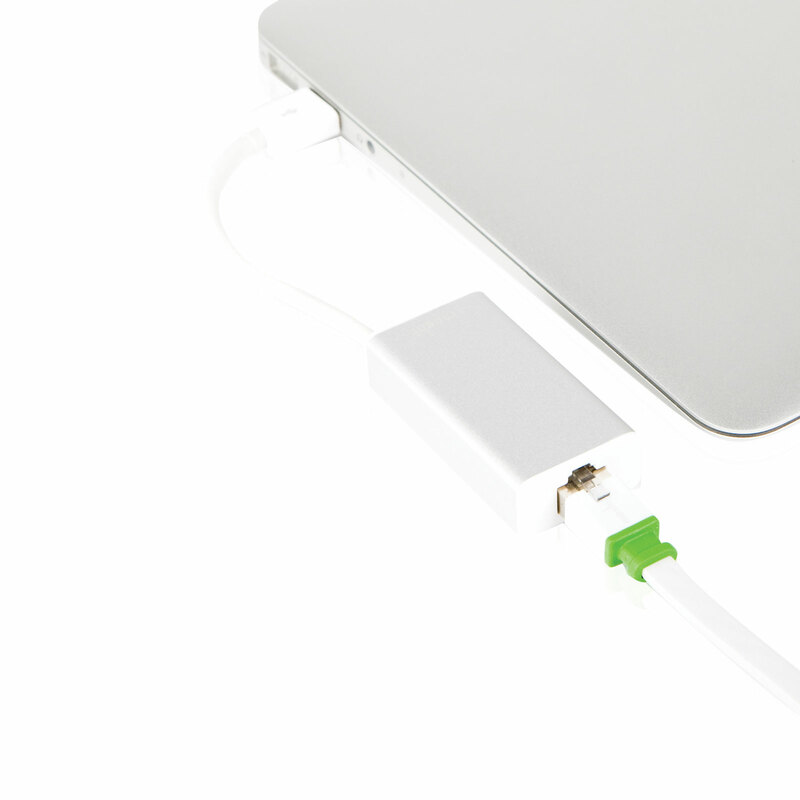 Use the USB-A port on your computer to connect to a stable wired network. Includes a pass-through USB port. Plug and play, no drivers required. 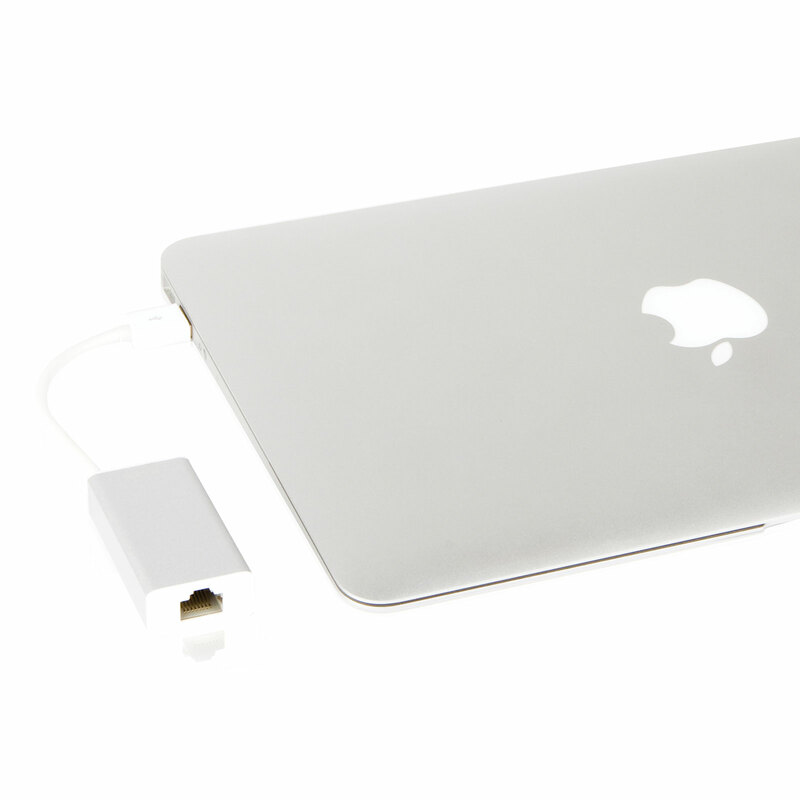 Moshi's USB to Ethernet Adapter conveniently connects your MacBook Air to any Ethernet network, providing reliable, wired Internet access of up to 100Mbps through its RJ45 connector. It requires no additional software drivers or external power. 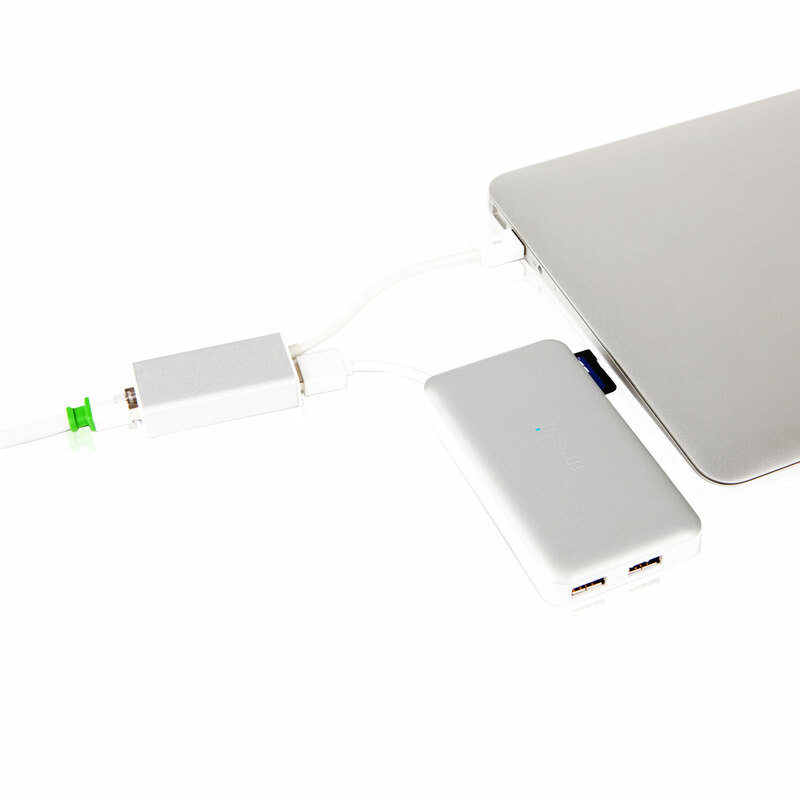 Best of all, it provides an additional USB 2.0 port so your MacBook Air and MacBook Pro R still retains all of its USB ports when connected to Ethernet. Step 1. Click on the "System Preferences" icon in your Mac OS X Dock. Step 2. Click on "Network" in the "Internet & Wireless" section. Step 3. When the Network window appears, click on the "+" below the box on the left to add a network connection. Step 4. A small window will pop up. Select "USB Ethernet" from the pull down menu and leave the Service Name as "USB Ethernet", then click on "Create". Step 5. "USB Ethernet" should now be added to the left-side window with a yellow circle next to it. Click on the "Apply" button on the bottom right corner. Step 6. When the circle next to "USB Ethernet" turns green then the set up procedure is successful and you can exit from the menu. For systems running Mac OS X, no additional software drivers are required. The most updated drivers can be found here. For systems running Windows (Xp/Vista/7/8), please download the appropriate driver for your OS from here. 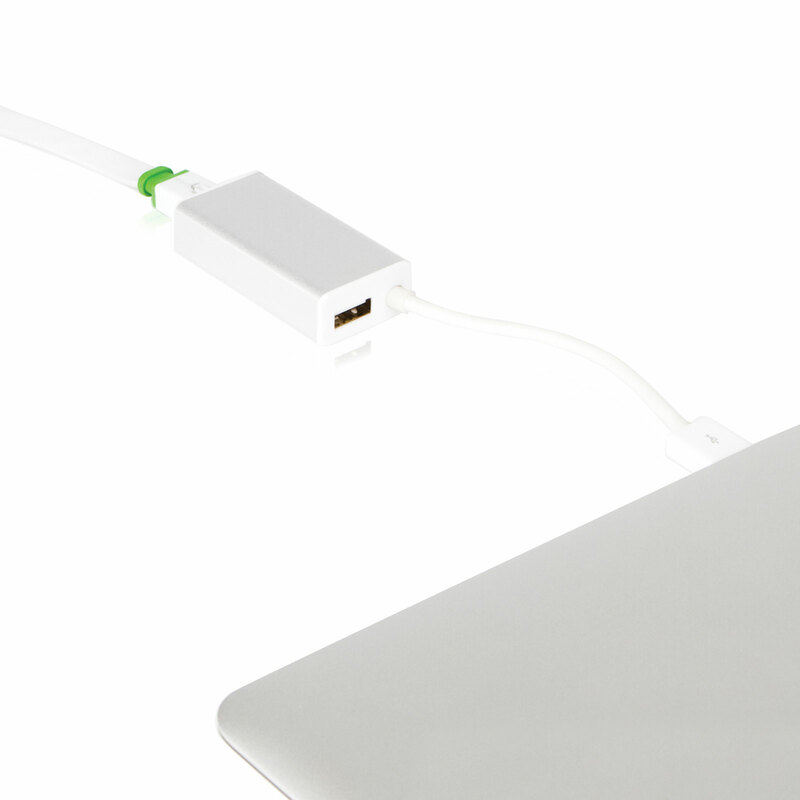 Connects your MacBook Air and MacBook Pro R to an Ethernet network through USB. Provides reliable wired 10/100BASE-T connection speeds through RJ45. Easy to setup and requires no software driver installations. Comes with an USB 2.0 port to retain maximum USB connectivity. 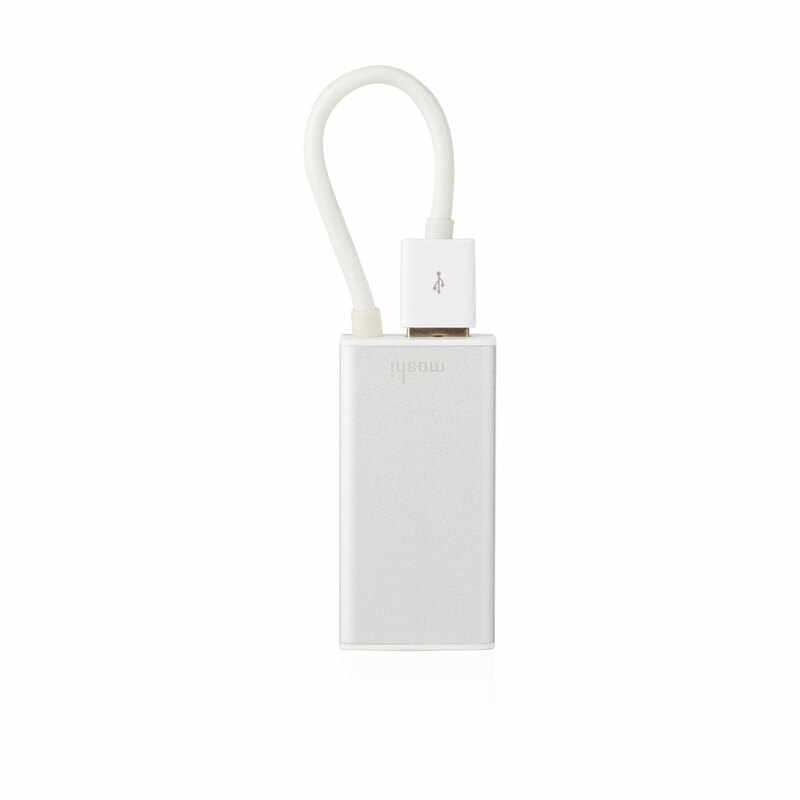 Compatible with any laptop or desktop with a USB port.